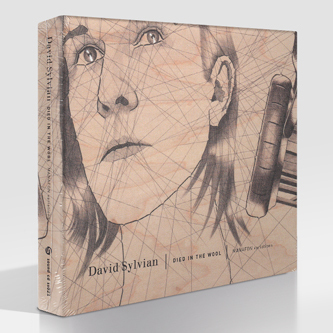 David Sylvian's Manofon album, released last year, was a huge achievement in terms of both conception and execution: the erstwhile Japan frontman singing plangent melodies in his initimably rich timbre against beautiful autumnal soundscapes crafted with composer Dai Fujikura (a student of Pierre Boulez, no less) and such improv luminaries as John Tilbury, Keith Rowe and Christian Fennesz. For our money, this companion set manages to trump it - it's comprised of cuts that didn't make the album and Fujikura rearrangements of tracks that did, plus a couple of remixes by producers Erik Honore and Jan Bang. The new version of 'Random Acts of Senseless Violence' is set in more dub-aware space, Fujikuma adding plaintive strings but stripping everything else away, leaving Sylvian's voice exposed in all its eerie glory. If there's a more beautiful song than 'I Should Not Dare' released this year then we'll be amazed: it dresses one of Sylvian's most affecting and classically pop-romantic melodies in a discreet electronic ambience, enhanced by Fennesz's treated guitar and a live recording of Supersilent keyboardist Ståle Storløkken. Other tracks explore more troubled, dissonant territory, coming over like a distinctly English riposte to the avant-baroque compositions of late Scott Walker. Disc Two is given over to 'When we return you won't recognise us', a sumptuous stereo mix of an audio installation commissioned for the Biennial of Canaries 2008-2009 and inspired by genetic lineage and cultural heritage; it features star improvisers John Butcher, Arve Henriksen, Günter Müller, Toshimaru Nakamura and Eddie Prévost working with a string ensemble sextet directed by Fujikura. 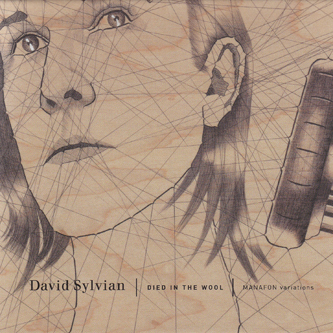 Died In The Wool really is divine and inexhaustibly interesting, essential not just for fans of Sylvian and his renowned collaborators but also Talk Talk, Robert Wyatt, Kate Bush and all those other conjurors of Electric Eden.